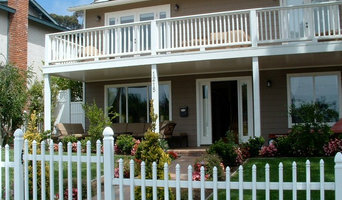 We offer the best architecture services in La Jolla area. Please contact us for all of your home remodel and design needs! Forever Builders is a family owned business, located in the heart of San Diego metropolitan area. We have build impeccable, honest and reliable teams with over 20 years of experience in the industry. ohms architects is a full service architecture and design office based out of San Diego, California. Klimt Architects a full service architectural firm with expertise in net zero energy design and environmentally responsible design. We at Klimt Architects understand that we have a unique opportunity to provide ground-breaking design while reducing our ecological footprint. We have widespread experience in a variety of project types ranging from residential, commercial, educational and hospitality design to master planning entire communities. We pride ourselves in our attention to detail, our repeat client base and our ability to provide projects that are innovative and energy-efficient while working within tight budgets and schedules. Whenever possible we integrate natural daylighting, natural ventilation, and sustainable materials into our projects to enhance the environmental quality of the space and reduce or eliminate off-site energy needs. We strive to create architecture that will continue to be aesthetically pleasing, functional, efficient and durable for the life of the project. We are also a longstanding member of the US Green Building Council with extensive LEED project experience (including one of the first LEED certified art museums in the US and the first LEED Gold certified building on Hawaii Island). And we are proud to have LEED accredited staff at the partner level. We are committed to sustainability and environmentally responsible design and treat every project as a contributor to a sustainable environment. 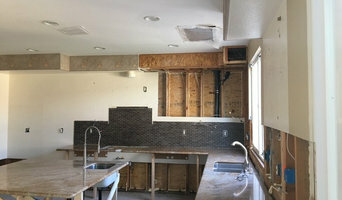 At Scripps Ranch Restoration and Remodeling we strive to provide a hassle free remodeling experience for you, the homeowner. At Davic Construction, we provide our customers high quality design services personalized for their unique kitchen & bath needs. We employ the highest quality materials ensuring a beautiful result. I have been practicing Architecture with my own firm since 1994. Prior to that I was a consultant with other Architecture and Engineering firms in the Los Angeles and San Diego areas for twelve years before and after attending Cal Poly, Pomona for Architecture. One can read my blog, "I've never met a woman architect before..." a blog about my life... , the trials and tribulations, as one could say, of being a woman, a mother, a wife, a volunteer, a public servant, and last but not least, an architect. <a rel="nofollow" target="_blank" href="http://inmawomanarchitect.blogspot.com/">http://inmawomanarchitect.blogspot.com/</a> I am also a Commissioner and Subject Matter Expert for the California Architects Board, a City of La Mesa Planning Commissioner in her third term, the Chair of the American Institute of Architecture (AIA) Chair of the Custom Residential Architecture Network (CRAN) for the AIA San Diego and Palomar Chapters. I was the Chair of the Committee for AIA California's Inaugural Housing Forum for attainable housing. was on the Board and Past President of the La Mesa Arts Alliance, served as a La Mesa Parks and Recreation Board Member, a La Mesa Centennial Planning Committee member and lead the Centennial Legacy Project Subcommittee. Specialties: Custom residential projects as well as multi-family affordable housing, educational, religious, and commercial. Jeanne Liem Architecture + Design is a small firm specializing in residential projects that offers full design services that can be tailored for your needs. Client satisfaction is our ultimate goal. Downey Construction is a Full Remodeling and Renovation Company that is able to complete all your needs from full custom homes to kitchen and bathrooms. Stemar Restoration, Inc. is an independent firm which has over 27 years of experience in the industry. At Stemar Restoration, Inc. we provide services in water extraction, cleaning, and restoration services. Our Company is licensed, insured and bonded. We offer a wide variety of services to make your home restoration experience convenient and fast. Our knowledgeable technicians are prepared to handle any job, large or small. At Stemar Restoration, Inc. our goal is to restore your home to pre-damaged state as quickly and efficiently as possible. Interior design and general contracting are the two main components of Design Structures Interiors. New and remodel projects for residential and commercial properties. Full service design (including 3-D rendering; plans and construction documents) as well as full service contracting and project management. A range of services from consultations to property remodel evaluation are also available to real estate professional and private clients. Roberto Pellecchia, founder of Design Structures Interiors, completed his fine art education at the Instituto Statale d’Arte “Filippo Palizzi” of Naples, Italy in 1980 and he attended classes at the Faculty of Architecture of Naples, Italy in 1981, and 1982. Roberto relocated to Orange county in 1985. His innovative design approach, combined with his knowledge of art & architecture and excellent drawing skills enhances and adds value to any building project. The goal is to produce stimulating and inspiring interiors reflecting the client’s lifestyle and objectives. 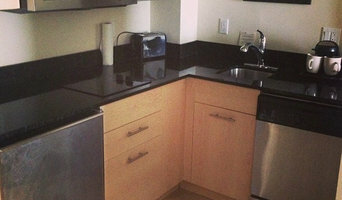 Kitchen and bath are a strong focus in most projects. After all kitchen is the heart of a home! Integrating the outdoor spaces with the indoor living spaces has been a well received new trend. Smart house functions and energy efficient features go hand in hand. Lighting is an important component of designing a space, lighting sets the ambiance and helps showcase art on display. Feel free to reach out to us, we would love to hear from you! 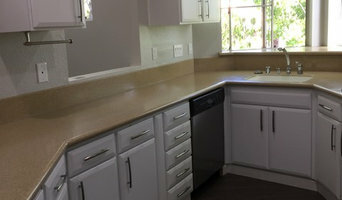 General Contractor specializing in design and building small to large scale remodeling projects. Founded in 1981 on principles of integrity, quality and service. Our teams of designers and builders are highly trained to listen to you so that they can expertly turn your vision into a reality.